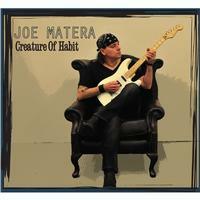 Aimed at the fans of Satriani and “instrumental melodic rock,” this is Joe Matera’s first full-length solo release and follow-up to his previous CD EP, Slave to the Fingers. Matera’s guests include Angels guitarist, Rick Brewster, Mick McConnell from Smokie and Fred Mascherino with strong support from Venom’s Tony Dolan on bass and James Strickler (of Angelic Rage) playing drums, bass and producing the album. The production is superior to the EP and has its own particular sound that reflects a grass roots approach, retaining the energies often lost when over-production and sound are given priority over composition, arrangement and spontaneity. Although there is a tendency to compress the bass end of the spectrum, this works well to balance the mix and create a listenable, packaged recording instead of the usual boominess and harsh top end that currently haunts many modern studio products. This limited edition digipak CD release includes three bonus tracks to complement the album. As most of the album tracks are quite short – the longest being “Fallen Angel” at 3:48 – the inclusion of bonus tracks is apt and offers an insight into Matera’s working process, thanks to the demos and alternate mix. Overall, this is a strong independent release with a whole lot of heart and soul poured into it. Joe Matera pushes his own personal boundaries and manages to surprise with the inclusion of acoustic work and commercial potentiality in a new vocal song. As per the title, this is a brief introduction to whet the appetite; with Thin Lizzy-esque harmonies and crunchy rhythm guitar, straight “four-to-the-floor” metronomic drums punctuated by stabbing bass. It’s a nice little opener and summarizes the point of direction to where the album, in general, is heading. With allusions to the opener, “Slide” continues the straight approach to take off and embarks on a course which follows in the jet stream of Satriani and company. The take-off is moderate in tempo and harder in some ways, yet walks the thin line between the “everyman” rock of the age and the “journeyman” penchant for pioneering heights of obscurity. Melodic guitar themes are dressed up as pseudo solos and incorporate blues and country exposition with a strong reference to Matera’s Australian Angels influence. Anyone familiar with the (Dylan-penned) Manfred Mann’s Earth Band hit, “You Angel You,” will immediately recognise the homage and, with a nod to the Eagles flanged guitar melody, Matera manages to change course and steer back into melodic guitar territory. The track is a softer rocker and could easily double for a vocal song, sans the lead guitar lines. Guest, Mick McConnell from Smokie, adds his distinct character to a brief solo before Matera returns to the helm, reconfirming captaincy towards the bordering regions of the outland. Although less of a tip of the hat to the late ‘60s Surf Beat than the clean guitar rock of the ‘80s, “Endless Summer” has a quality, a feel, which certainly captures a moment often explored by anyone pondering the imminent summer tides of Australia’s East Coast beaches. The song announces seriousness and then a mood change to glory and back again, with duelling guitars thanks to guest Fred Mascherino who employs style nuances against Matera’s brazen attacks. 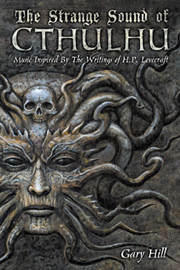 The manipulation of mood is just one of the qualities that hits the listener on this CD. A cheeky wink and we’re back to straight rock, with a noticeable perpetuation of ideas attributable to The Angels (of whom guest Rick Brewster is famed). This is straight “balls to the wall,” dyed in the wool, genre-establishing material with a strong rhythm section supplied by James Strickler of Angelic Rage (who also produced the album). Although possibly not the strongest composition on the album, “No Way!” is still a great vehicle for the letting down of the proverbial hair and beacon for having a good time. With an album devoted entirely to the legacy of melodic guitar, it is no surprise that Matera has found inspiration in the iconic anthems of Back In Black era AC/DC and the Young brothers’ work in general. If “homage” is the operative term, then “Brave New World” captures the essence. It is the darkest number on the album and has a half-time feel (with choruses picking up the slack at intervals). The guitar melodies seem to be a moot point as the riffy nature tends to override the niceties. This is heavy, powerful stuff. As a turn for something different – and obviously being quite aware of how arrangements of his material can be altered – Matera lays down a vocal song. The strength of his vocals is quite impressive and it seems a pity that he doesn’t do more of it as he has a real talent. “Fallen Angel” is a rock ballad with a catchy hook and a tendency to vocal harmonies over his natural leaning to guitar soloing: this is commendable as the actual guitar solo stands out due to its absence in the lead-up. This is a great tune and, hopefully, an indicator of what’s to follow in the future. Joe Matera utilizes synthesizers, piano and acoustic guitar in his moment of musical triumph, departing from the school of Satriani and producing something that seems to be a more personal piece. The track retains a song format but, in the 2:35 running time, manages to reach into modal areas and leave the listener hanging for more. With many albums exhausting in the second half, the order really elevates the work, building with new and varied ideas. As a bookend to the album, per se, this little number takes us back to the straight rock harmonies of the opener. It’s fun and has winding bends before Matera leaps into the driver’s seat and takes the vehicle, pedal to the floor, along the highway of improvisation-is, in extremis. Here ends the album proper which is quite short by usual standards and, indeed, by early LP releases (clocking in at around a mere 26:00). This may be why the songs work so well: they are never long enough to be repetitive or boring – the longest running time is 3:58. So, Matera has opted for the addition of three bonus tracks which strengthen the album and offer a rare glimpse into the creation of his work. As an alternate mix, this is a subtler version displaying more interplay between instruments. McConnell’s solo sits nicer in the stereo spectrum and things like tom rolls and bass guitar arpeggios manage to convey a certain clarity not in the original (which was mixed for different purposes so may not have needed to be so evident). Out of the two versions, this would be my preferred as it has a similar mood to “Fallen Angel,” the vocal track. Matera’s drum machine demo of this commercially viable track is a drum and guitar mix, with vocals quite low and hinting of John Cougar Mellencamp in some of the melodies. The general variance of sounds works well – maybe slightly better than the final – and there’s some interesting cut and paste work at the end that really hit home its reason for being, although maybe realised after the arrangement was set in stone. This is no relation to the incredible Steve Morse number but it is another demo. This time it would appear that Matera was working on two separate acoustic pieces with a view to use only one on the final CD. Again, the rhythm is created by acoustic guitar texture and, in many ways, the similarities end there. “The Seeker” may work better in the current position but “Cruise Control” is possibly a superior composition - thus the inclusion as a bonus track.